As key providers of Home Health Care in Greenbelt, Maryland, we know the rigors, demands, and fulfillment of caring for another person. If we experience this ourselves with all the training we’ve had, we can just imagine how both rewarding and demanding it can be for family caregivers. Dear family caregivers, you deserve all the appreciation there is. It’s also for that reason that we say, you also deserve to take care of yourself so that you can care about your loved one even more. This is the very essence of respite care. So that you can take your respite, we step in for you in caring for your loved one on your behalf. This is a temporary set up, but this is going to be very beneficial for you. Taking the caregiving role cannot be accomplished without some help. This is a fact that is also true in all aspects of life. Our body can only do so much, and if we don’t allow it to be refreshed every once in a while, it can get stressed so much which can result in burnout. As a family caregiver, you wouldn’t be of much help to your loved one when you’re feeling burdened and resentful which are observed manifestations of burnout. So allow yourself some moments of relief, and your loved one will benefit greatly because of it. As previously mentioned, the person you’re caring for will surely benefit even more when you’re able to have your rest. After some times of refreshing, your physical and emotional strength are restored and you can be vibrant again in caring for your loved one. You’re more alert and more patient in attending to their needs. You’re ready to take on your role once again when a nurse providing Private Duty Nursing in Maryland steps in for you once in a while. The caregiving responsibility means that you have to invest your time, strength, and effort in assisting your loved one. With this, you have to be physically ready to do the tasks. However, there can be instances when you eat in a hurry, have little sleep, and can’t even go out to exercise. These activities can also take a toll on your body, and as a consequence, you might get sick. When you get to rest however, you’re also allowing your body to recover its strength so that you can be fit to care for your loved one once again. Let’s admit it. Superheroes are only fit for the movies. In the real world, we need each other. In caregiving, we need help. 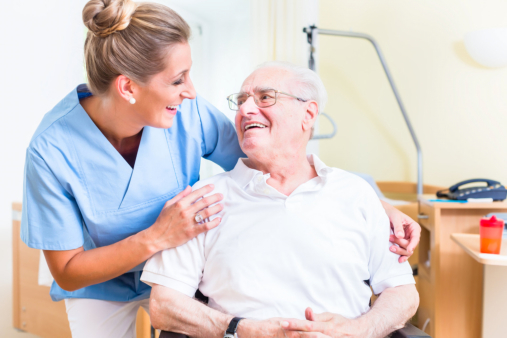 This is why our Nursing Agency in Maryland offers respite care services so that you can be the best care provider to your loved one that you can ever be. If you’re looking for professional assistance to help you out, ask us at Saint Theresa Nurselink, Inc. This entry was posted in Respite Care and tagged Family Caregivers, Health Care, Physical Care. Bookmark the permalink.